Thousands of Native Americans and activists have braved blizzard conditions to protest against the building of the Dakota Access Pipeline near tribal lands. Harold Hamm, a billionaire oilman and President-elect Donald Trump's top energy adviser, doesn't seem to believe the protests were authentic. He even questioned the motivations behind the efforts to stop the construction of the controversial pipeline. "Let me tell you, they are being used, they are being taken advantage of," Hamm said of the tribes. "I hate to see it," he said on Thursday at the Platts Global Energy Outlook Forum in Lower Manhattan. Hamm, a shale oil pioneer and CEO of Continental Resources (CLR), insists he doesn't "have a dog in this hunt." He notes that Continental "has no oil" on the Dakota Access Pipeline. However, Continental could benefit indirectly from the pipeline because the company mainly pumps oil from the Bakken, where the Dakota Access Pipeline originates. Continental even made this point to investors in a recent presentation, noting that the price gap between its Bakken crude and more expensive forms of oil should decrease due to "increased pipeline capacity." Hamm didn't shy away from expressing his support for the pipeline. "My goodness, that's a pipeline that is certainly needed. It brings the best, highest quality crude oil from the Bakken to the population centers," said Hamm. Since the summer, the Standing Rock Sioux tribe members and their allies have fought against the building of the $3.7 billion Dakota Access Pipeline. The 1,172-mile pipeline from Energy Transfer Partners hopes to reshape the landscape of U.S. crude oil supply by transporting crude from the oil-rich Bakken Formation in North Dakota through the Midwest. But tribal leaders argue that the pipeline, which would carry 470,000 barrels of oil a day, threatens the Standing Rock Sioux tribe's environmental well-being and would destroy sacred tribal sites. 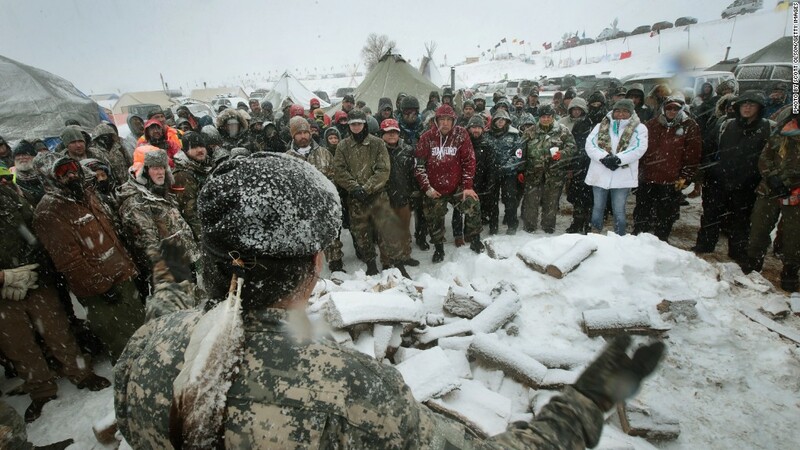 The Standing Rock Sioux tribe won a victory on Sunday when the U.S. Army Corps of Engineers said it would seek alternative routes for the pipeline. 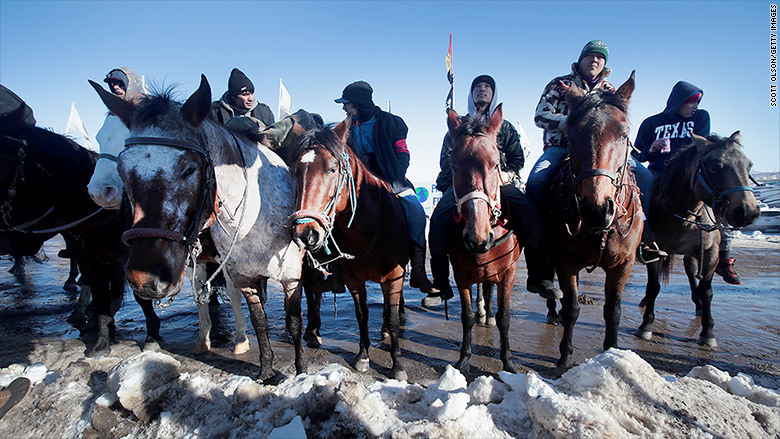 But the victory is tentative as Energy Transfer Partners (ETP)said it would fight to continue to build the pipeline. North Dakota Sen. John Hoeven said in a recent statement that Trump has expressed his support for the Dakota Access Pipeline. Hamm, who on Thursday shot down talk that he could be Trump's energy secretary, said he's been in contact with Standing Rock Sioux Tribal Chairman Dave Archambault. "I think he sees it coming to an end," Hamm said. "I think they realize there's been some fringe aspects that have come to be involved that are not serving them well. That needs to come to an end."